Back by popular demand, as they say! We have released another vintage our answer to, “What should we drink tonight?” Winemaker Joe Otos’ creative blending of red grapes, Sunset Red has everyone asking for more. Here in wine country we sell more of this wine than in any other region. The locals must know something…. The grapes are sourced from carefully chosen North Coast vineyards in Dry Creek Valley, Redwood Valley and Napa, Lake and Mendocino Counties. 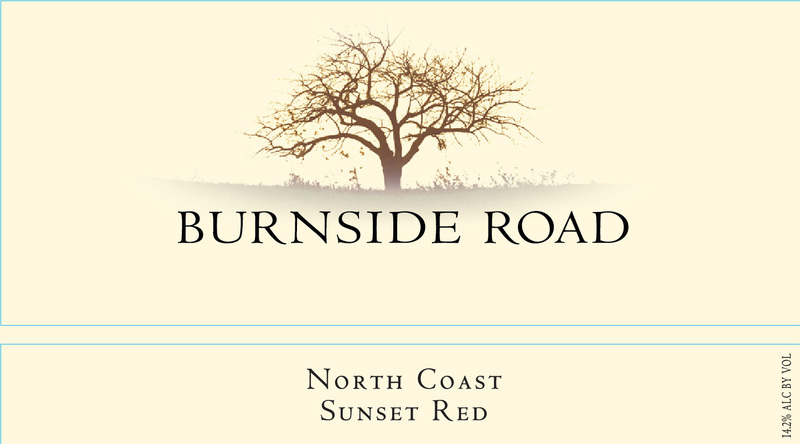 Sunset Red was aged in French Oak barrels with less than 4% new. While speaking to the elegance of the blend’s heritage, Sunset Red also reflects a larger structure and full frame. The lingering finish echoes the ripe black fruits that first present themselves on the initial aromas. Share this wine with good friends and pair with barbequed hoisin baby back ribs and savory coleslaw.